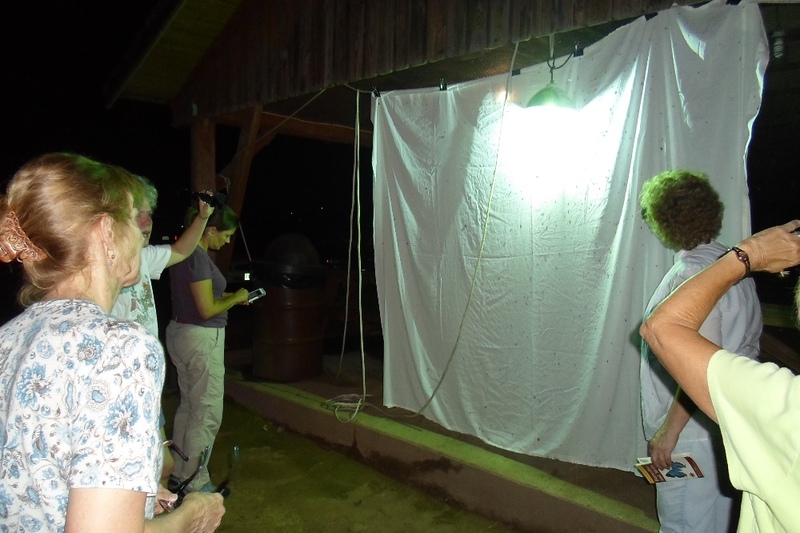 Although our Entomologist felt it wise to postpone the Entomology Event on August 22nd due to unsettled weather, a few determined bug lovers showed up just to see what we could get to come to the Mercury Vapor light. Gail Napora joined Betty Forrest and RoxAnna Theiss of the 2011 class and gave an impromptu talk on the Monarch Butterfly – one of her special interests. Adrie Voors came with her trusty point and shoot and helped get the light and sheet set up which worked just fine although we did not draw any big bugs to said sheet. What we think was an Io Moth did flit over our heads briefly. Trainee in Waiting Elaine Smith came with two friends: Rinn shared some of her photos on Flicker. Gail also brought some “faux” s’mores that were wonderful! So we owe her a double thank-you for her valuable input to the evening! 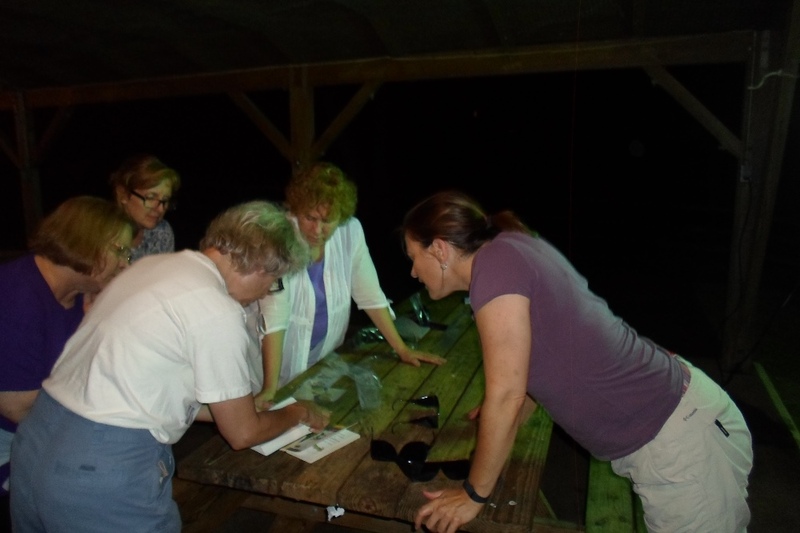 We are trying to get some identification going of the bugs we saw, but that is taking some time. We did identify the Hebrew Moth and a caddis fly or two. 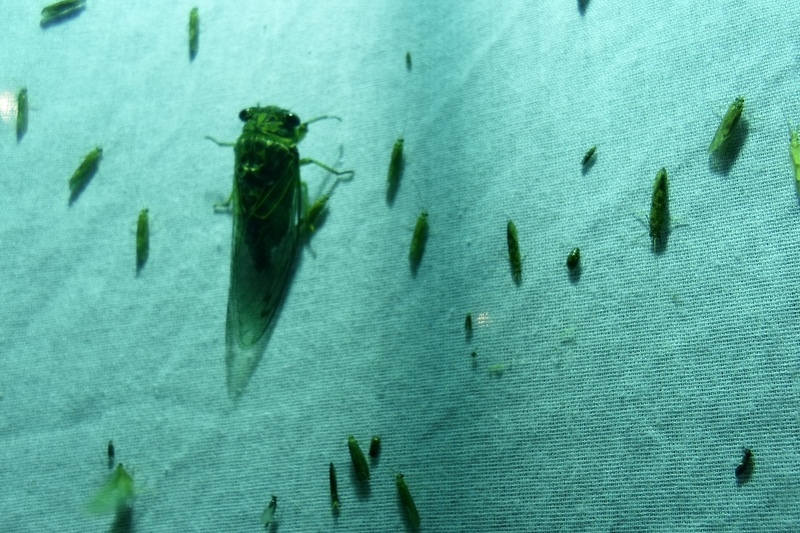 A lonely cicada showed up for the party and maybe even some chiggers – Elaine ended up with some nasty bites on her bare legs – the rest of us wore long pants. But we had a good time enjoyed some new and renewed friendships and, of course, it never rained or thundered – not a drop, not one clash or flash. Event rescheduled for Friday, September 5th on the banks of the North River. August 28, 2014 in Training.